ProgiBox lets you connect to more than one network operator (multihoming), thus providing close to 100% availability while optimising incoming and outgoing traffic. Incidents on operators' lines are rare, but they can still disrupt your business. 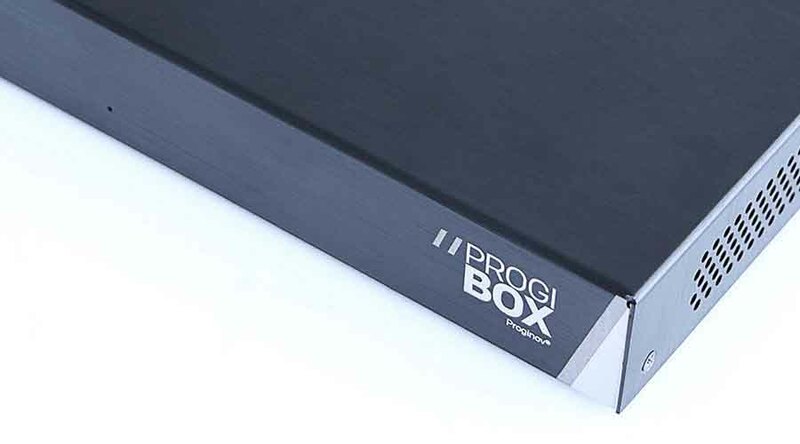 With Proginov, you can subscribe to another external line with a second operator and install a ProgiBox unit. In the event of network loss, the ProgiBox immediately and transparently switches to the second line. Your business can continue to operate unaffected. As a preferred partner of the three leading French telephone operators, Proginov's service bundle includes external line installation. Proginov's technical teams supervise the installation of the physical lines for your company, and dimensions input and output rates in line with your requirements to ensure optimum connectivity.